Looking for a new beverage that’s both natural and good for you? Coconut water is both, and has many benefits to your health and physical well-being. Here are just a few benefits of drinking coconut water. Coconut water is filled with tons of nutrients, including antioxidants, vitamins, and minerals. It’s also a great source of amino acids and enzymes. Some of these nutrients provide anti-aging and anti-cancer effects. Not only is coconut water good for rehydrating your body after excessive sweating or vomiting, it’s easy on the stomach and is excellent for soothing upset stomachs. It can also naturally settle acid reflux and GERD. Another benefit of drinking coconut water is lowering your LDL (or “bad”) cholesterol while also boosting your HDL (or “good”) cholesterol. By doing this, you can naturally lower your risk of heart disease and many other conditions. 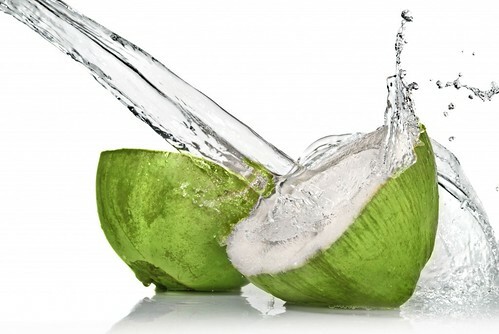 Coconut water is also full of electrolytes and carbohydrates, making it an excellent thirst quencher and energy booster. Because it's so good at fighting dehydration, it can also treat headaches, many of which are triggered when a person is dehydrated.